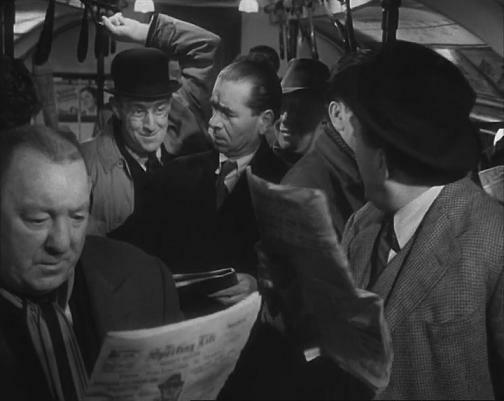 I just saw The Lavender Hill Mob for the first time. I wish I’d seen it years ago. It had moments of such comic and existential beauty that I found myself wanting to cry. Watch it! 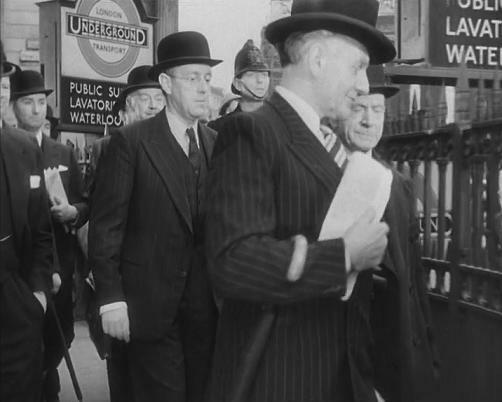 The film tells the story of Henry Holland (Alec Guinness): a bowler-hatted bank employee who daily supervises the minting of millions while waiting on a pay cheque. “I was a potential millionaire,” he says, “yet I had to be satisfied with eight pounds, fifteen shillings, less deductions”. He eventually finds the missing piece in his plan to steal a million pounds’ worth of gold doubloons with the idea that he might flee to a life of leisure in Rio. 1. Even though the film is about a crime, there’s no doubt in our minds that it’s a morally-justified act. We know that Holland is right to steal the money because his alternative fate — a life of undignified, repetitive servitude — is unthinkable. We’re on Holland’s side immediately. This is because the world loathes the rat race. Holland has already essentially paid for his crime through twenty years of toil. Morally, he’s practically owed the money. 2. More than the money, his Great Escape is a matter of personal respect, of taking control for once, and of reclaiming his lost dignity. Sound familiar? And to the extent that money is part of the heist, it is as a means rather than an end. 3. There are moments of poetry in which tokens of Henry’s formerly dreary life ironically become his salvation. 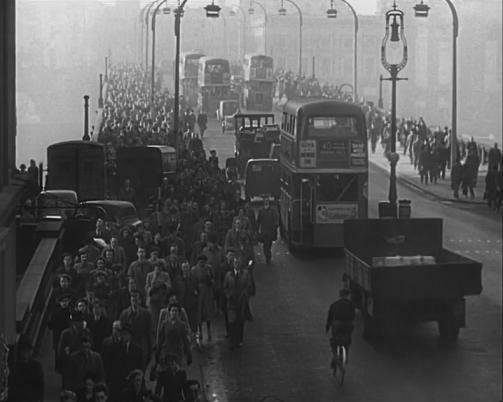 Towards the end of the film, he is able to elude the police by merging into a crowd of anonymous, identically-dressed London commuters. Likewise, the gold is smuggled into Paris by molding it into souvenir Eiffel Tower models: the very junk objects which kept Holland’s partner in servitude for so long. 4. There are moments of brotherly recognition between the two men that they’re doing something sensational: launching a self-hatched scheme, their own system-beating escape plan finally coming to fruition. There is nothing in the world so exciting. And it’s all done with well-dressed, softly-spoken, gentlemanly decorum. Our Issue 8 appeal has just about succeeded. Huge thanks to everyone who bought print issues, PDF packages, or pre-ordered their Issue Eights. We now have enough money to print the issue. Huzzah! Alas, about 10% of this sum comes from shipping charges, so we’ve not quite broken even on the scheme yet. Do consider helping us if you’ve not already.